The star opened up about her absence and explained the importance of putting her mental health first rather than attempting to "push through" the panic. 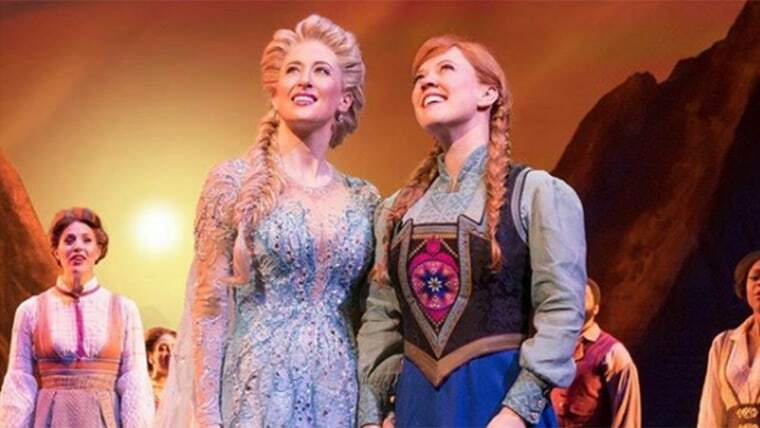 Actress Patti Murin plays the part of Anna in the Broadway production of "Frozen" — at least, she usually does. But on Tuesday night, she passed the reins of her role to standby star Aisha Jackson after suffering what she later referred to as "a massive anxiety attack." The following day, Murin took to Instagram to open up about her absence and explain the importance of putting her mental health first rather than attempting to "push through" the panic. "So last night I called out of the show because I had a massive anxiety attack in the afternoon," she wrote. "It had been building up for a while, and while the past month has been incredible, all of the ups and downs and stress and excitement really takes a toll on my mental health. I’ve learned that these situations aren’t something to 'deal with' or 'push through.'" And she hopes, by sharing her story, others will learn, too. "Anxiety and depression are real diseases that affect so many of us," she continued. "It requires a lot of rest and self care to heal every time it becomes more than I can handle in my daily life. While I hate missing the show for any reason at all, Disney has been nothing but supportive of me as I navigate my life and work, and I’m so grateful to them." Murin then shifted her focus to address others who live with anxiety. "Just remember that you’re not alone, your feelings are real, and this is not your fault," she explained. "Even Disney princesses are terrified sometimes." And to highlight that point, "Frozen" fans can turn to the actress who voices Princess Anna on-screen, Kristen Bell. "I struggled a lot with anxiety and depression," Bell said during 2016 interview with "Off Camera." And the she was quick to add that she felt "no shame" about any of it. And there's another member of the "Frozen" family who's now added his own voice to the important topic. Josh Gad, better known as Olaf to fans of the film, has shared in the struggle himself, and he applauds Broadway's Anna for her decision to speak out. "I am so proud @PattiMurin for your candor and bravery in being so open about this," he wrote. "I have dealt with anxiety for years and navigated it through very similar moments. You will get through this and we will all be waiting with open arms and love once you're ready to return home."